Certain quality autoresponders will manage subscriptions and follow-up with interested prospects. Your newsletter can keep your visitors informed about your services or products, while building your reputation as a credible expert in your particular business. 2. Publish a newsletter only for your affiliates. Inform them of current sales you are running and of promotional material that your affiliates can use themselves to increase their commissions. Include tips, advice, and techniques that your affiliates can use to successfully go out and promote your business. Cover books, software, music, e-books, movies, etc., and put each review in an autoresponder. Review your affiliate programs, using a link to your affiliate’s page in your autoresponder. Writing and distributing targeted articles is a powerful tool to build your business credibility, bring traffic to your site, and increase your sales potential. If your articles contain valuable information, many editors will print what is known as a resource box for you. A resource box contains your bio and a brief description of your service or product. It can also contain your autoresponder address. Let’s say you’ve written fifty articles. Put them on separate autoresponder accounts and create a master list that contains the titles of each article, the autoresponder address, and a brief abstract. Then promote your master list. Additionally, include your publishing guidelines so your affiliates can add their articles to your list, increasing the number of writers who are represented in your article list. Inform subscribers to your articles when you’ve written new ones that they may want to publish in their own newsletter or website. 6. Automate your sales process. Use an ad to insure repeated exposure of your message, which has been proven to effectively increase sales. In your ad, put your autoresponder address where a visitor will be exposed to numerous marketing materials. 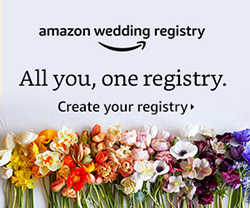 This multiplies the chances of converting visitors into customers. Let’s say you sell advertising on your website or in your newsletter or e-zine. Set your autoresponder to send the information about rates and how to place an ad automatically to all prospects’ email addresses. Then have your autoresponder follow-up. It can also send notification of any special deals you are currently offering. 8. Distribute an email course. Each day, have your autoresponder send out another lesson. Just be sure that each lesson has quality content – not a sales pitch. Your content will do the selling for you, and will do it much more effectively. You can include tips centered on a different topic for each lesson, illustrating how your product will benefit the reader. Include the tangible benefits the visitor will reap by purchasing your product. 9. Automate a reminder about your service or product after a visitor has completed your course. This will increase the possibility of sales from visitors who have taken your course but are dragging their feet about actually making a purchase. You can also use these reminders to promote new products or services, and the products and services of your affiliate programs. This gives your visitor an idea of the type of information you can provide and the quality of your product or service. Make sure these reports are not sales letters or you will more than likely lose a potential customer than gain a sale. 11. Create trivia quizzes on your site and place the answers in an autoresponder. Your visitor will then be motivated to request your autoresponder, and you will have a record of the visitors’ email addresses who took your quiz. Or create a contest and have any visitors that enter send their responses to your autoresponder. Your autoresponder can be set-up to send them a confirmation of their entry. 12. Offer a trial version of your product. Give your prospects a sample of your ebook, course, software, membership, etc. People who are exposed to a little taste often end up wanting the whole pie. You can also capture their email addresses when you offer them a free trial from your website. Set up your autoresponder to give instructions on how to obtain their free trial, and then make sure to follow-up to try and close the sale. 13. Link to hidden pages on your autoresponder. For example, a hidden page could be your affiliate page that contains graphics, promotional articles, and text links that interested affiliates can make use of. 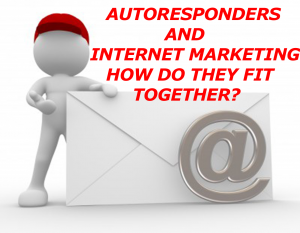 Inform visitors that they may have free access to your affiliate page by simply requesting your autoresponder. You will then gather a list of visitors who may be interested in becoming your affiliates. 14. Use an autoresponder on your order page. Post a request form for visitors to be notified of special offers or discounts in the future. This creates a very effective mailing list that contains the names of people who are already your customers. 15. Put your links page on your autoresponder. It should contain up to fifty links that would be of particular interest to your visitors. Make sure to add your own promotional copy at the top or bottom of this page. And don’t forget to take a look at AWeber – the BESt online autoresponder service.